In this guide you can enable attack notification in FastNetMon. This guide assumes that you configured InfluxDB properly using Visual Traffic guide. 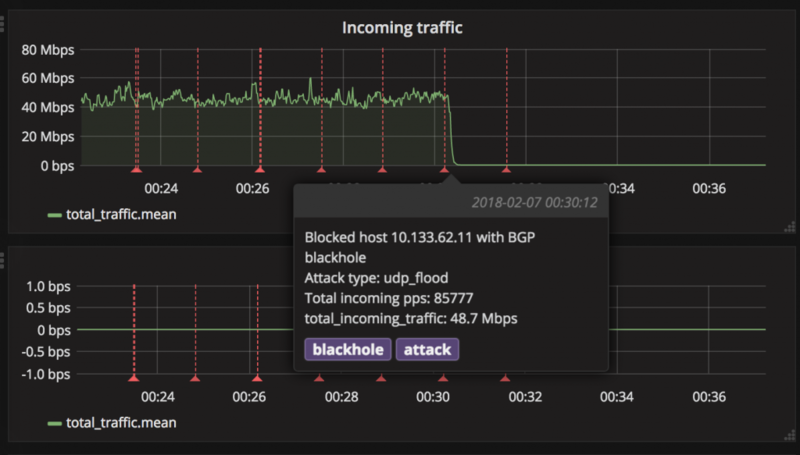 Please upgrade FastNetMon to version 2.0.129 to use it for BGP blackhole and BGP Flow Spec. Please open any dashboard where you need this information (we suggest using “FastNetMon Advanced Total traffic”). Then find button with gear sign on top of screen and press it. Then select “annotations” on left panel and press “Add Annotation Query” button. And save all changes with “Save” button on left side.